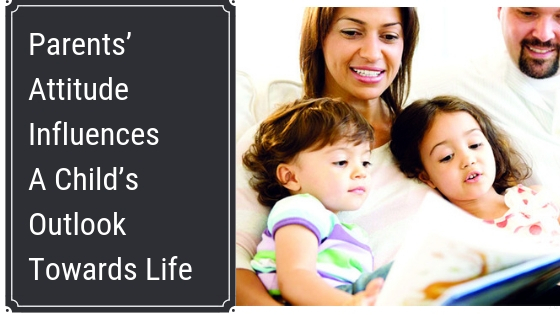 Parents’ Attitude Influences a Child’s Outlook towards Life! I had a chance meeting with a child from my neighbourhood some days back under the Matunga Flyover. All of 11 years, the little boy was sitting cross legged with a group of three other kids, slightly younger than him. Nothing surprising in that. But when I went closer, I found that he was explaining some basic English grammar rules to the others. I did not want to disturb him. So I walked away. When I met him yesterday, I struck up a casual conversation and asked him about the kids that he was teaching the other day. His answer was just amazing. This set me thinking. I have seen people of wealthy households treat their domestic helps in a patronizing way. And their children follow suit. Leave alone helping, they will not even deign to talk to the kids of their domestic help. Probably it is the attitude of the parents which is rubbing off on their children. This little boy was so different. I admired his attitude, his willingness to help his schoolmates who were not as fortunate as he was. I admired his parents who had allowed him to spend his time to help these children in whatever way he could. There are many such domestic workers, car cleaners, auto and taxi drivers, hotel waiters and others who want their children to be educated and advance in life. Even recently there were reports of an auto driver’s daughter topping the tough Chartered Accountant’s exams, or an IAS topper with parents from the lower income group. They attribute their entire success to their parents who dreamt of a secured future for their children, worked their hearts out and achieved their goal. These children proudly recognize the contribution of their parents towards their success. In fact, one of them has tears in his eyes when he mentions that though he comes from an economically weak family, he has never been made to experience financial difficulties and never been forced to lend a helping hand to his parents. They had always paid his fees in time, whether they had to borrow or starve to make both ends meet because of that. They had always insisted that he should concentrate on his education. How wonderful it would be if more parents recognize the need for change that their domestic help requires for her child and if more children would be encouraged to be like that little boy and be humane towards other children who are not as fortunate. 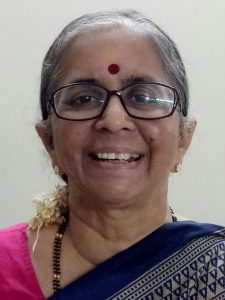 Lalitha Balasubramanian is an Author, freelance Journalist, compulsive traveler, voracious reader, nature lover, music and fine arts enthusiast, believer of “live life to the full,” and most importantly, Grandma to four adorable kids who just love her story sessions. News Shuttle is a print media exclusively for young creative minds. Our endeavor is to engage kids with fun, safe and empowering news, that can help scale their thought process to newer heights. We also bring back the kids to an age where reading is interactive, informative and at par with what technology can offer. © 2019 News Shuttle. All right reserved.